Back in August we were finally able to spend a weekend at my parent’s cabin in the Bemidji, MN area. 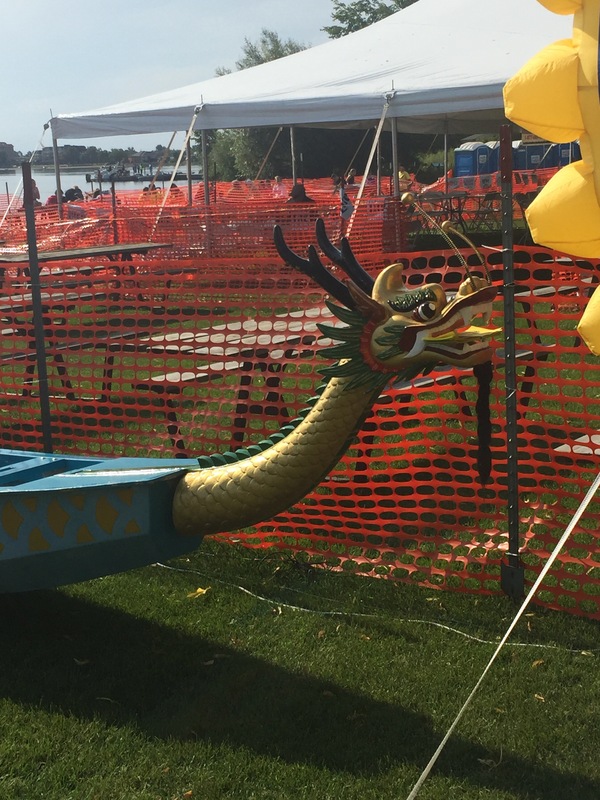 It was the weekended of the Dragon Boat Festival which I have always wanted to check out and I of course found a couple great food places to stop at as well. 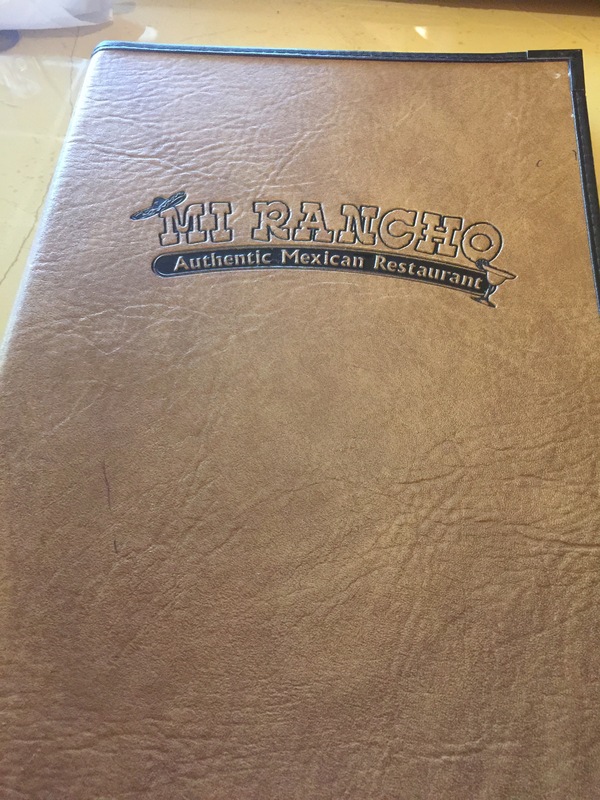 We got into town Friday evening and after some time checking out the water with our furbaby Elsa I figured some good Mexican food was definitely in order. 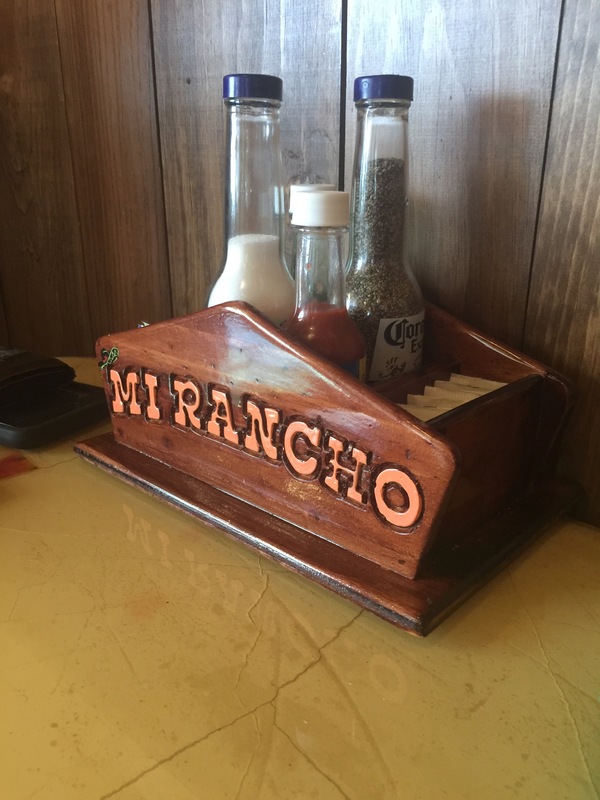 We head to this local place called Mi Rancho which was amazing. I instantly saw on the menu that they had HUGE margaritas so I got a raspberry one bigger than my face, it was amazing. 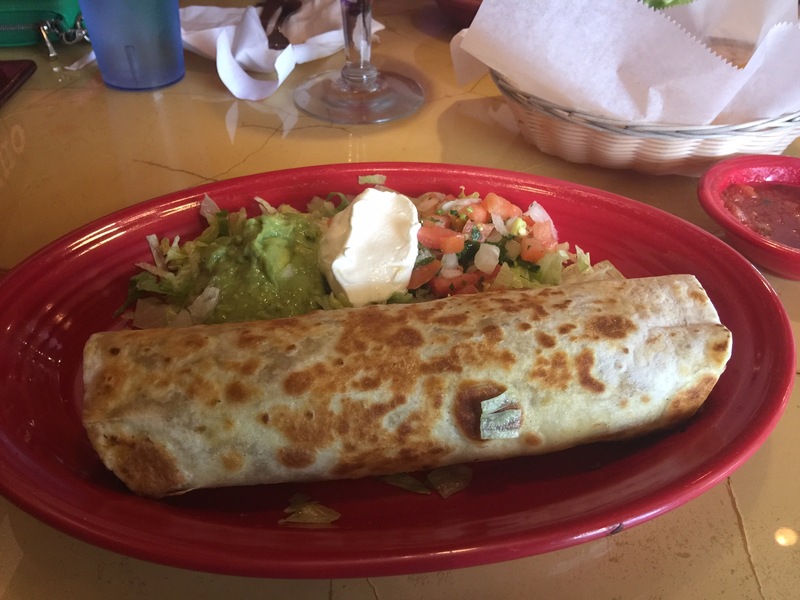 My husband got his typical order from any Mexican restaurant, some sort of XL beef burrito. He opted to not get it smothered in sauce and cheese due to the fact that he was getting closer to his first physique bodybuilding show. 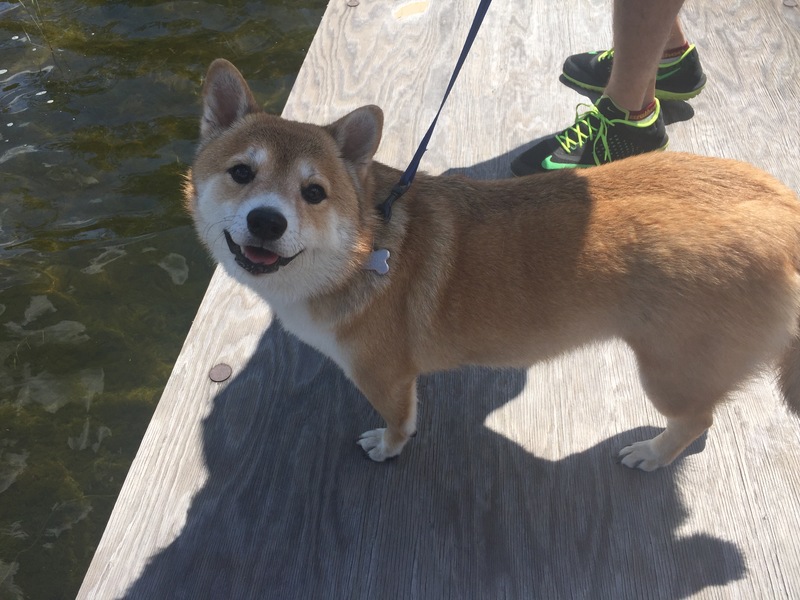 As always he enjoyed it though. 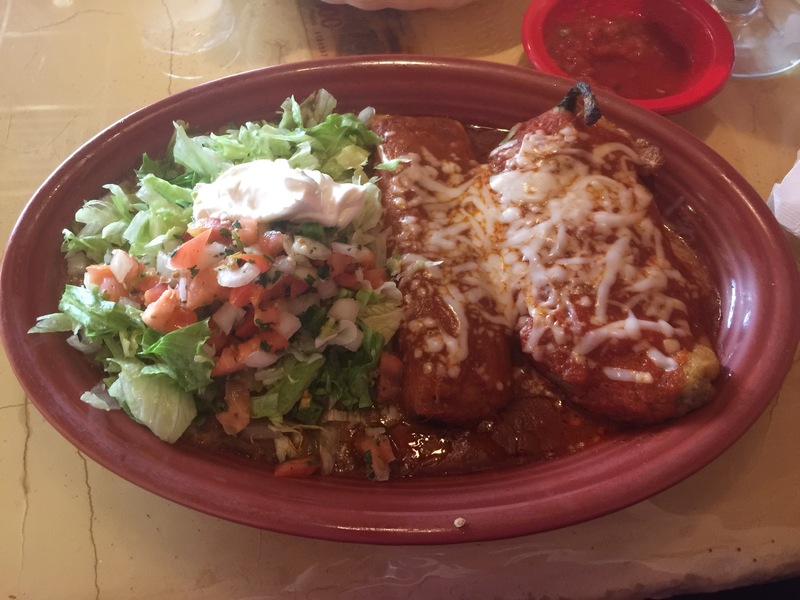 I opted for a Chili Rellenos platter mostly because it came with a tamale. Everything was packed with flavor but damn there was a lot of food on the plate so I ended up taking most of it home. 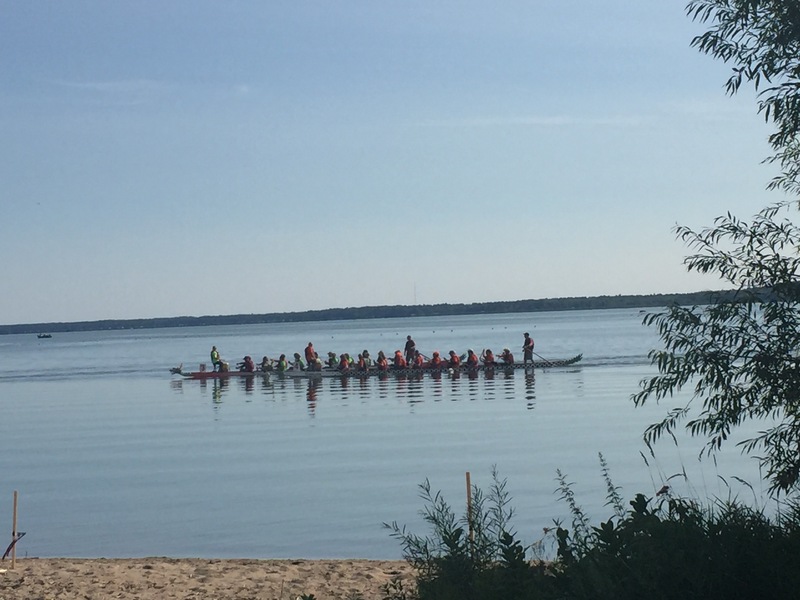 Saturday morning was finally Dragon Boat Festival time! 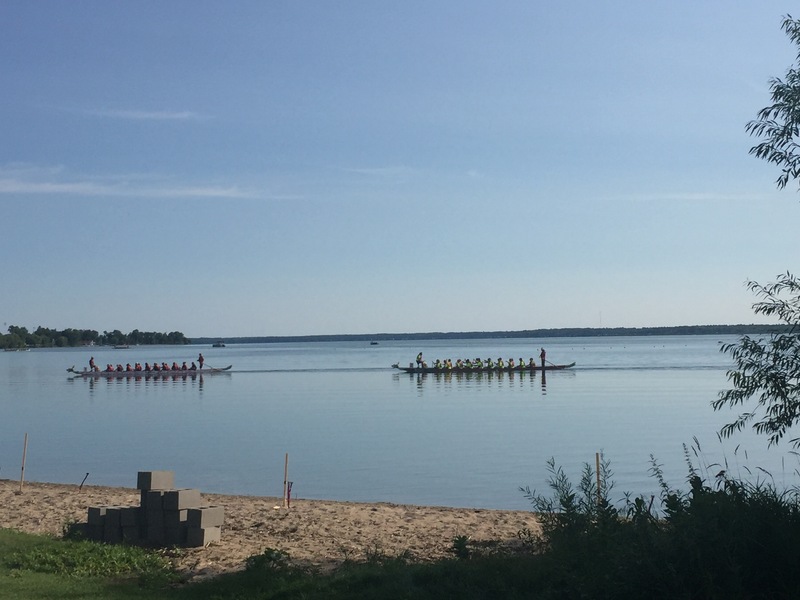 This is an annual competition held in Bemidji, MN each year. Organizations have teams and they train for this each year. It was beautiful outside so we hung out and watched the festival for a little while. 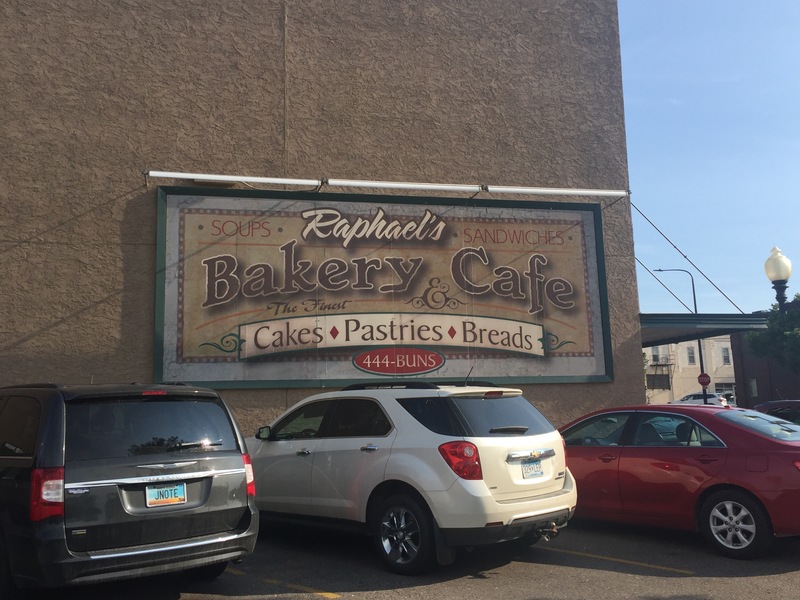 We then had to check out Raphaels Bakery. I’ve been going to my parent’s cabin in this area for a good 15+ years so I’m not sure how I’ve never been to this place before but it definitely lived up to expectations. We got there and the place was PACKED. No sitting room left which was fine since we just wanted to get some donuts and leave. 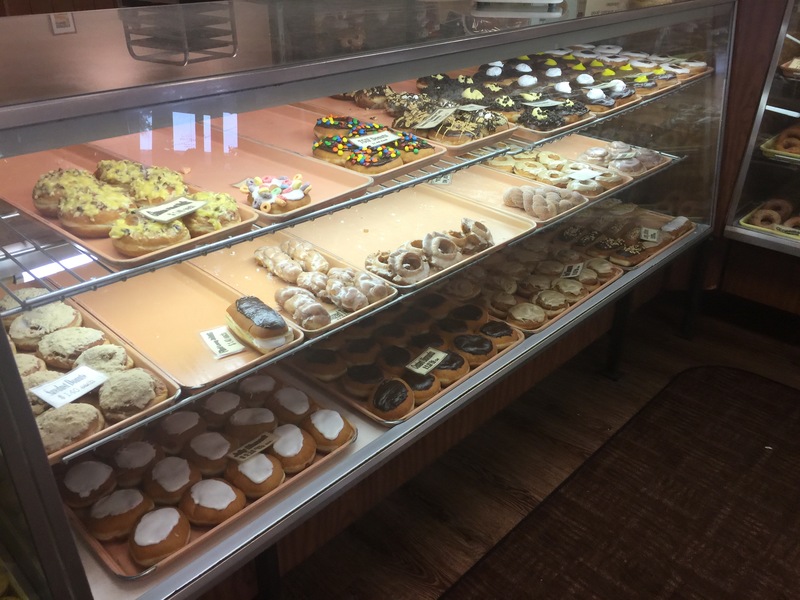 There was a huge selection of donuts, breads, and pastries that they were constantly working to refill. The back part of the building with the kitchen looked just as big as the front so they were busy churning out new stuff all the time. 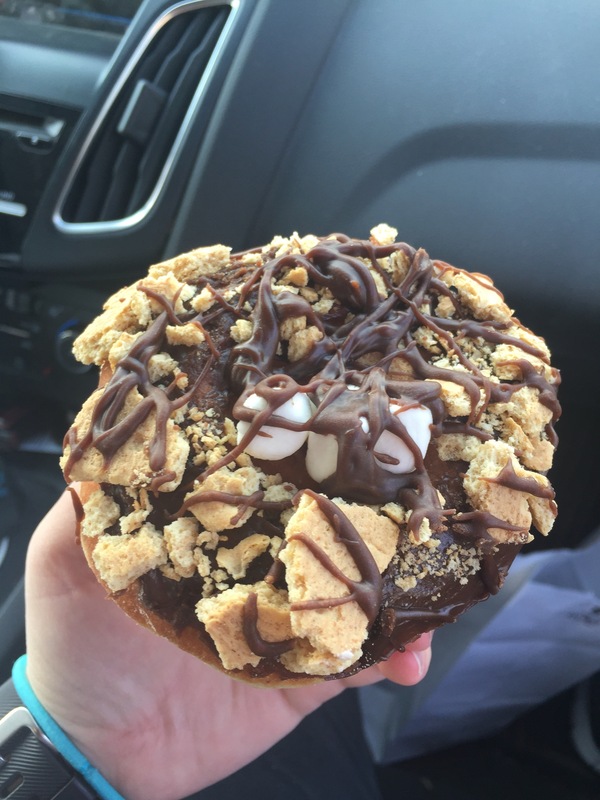 I had to get a S’mores donut because I love anything s’mores. 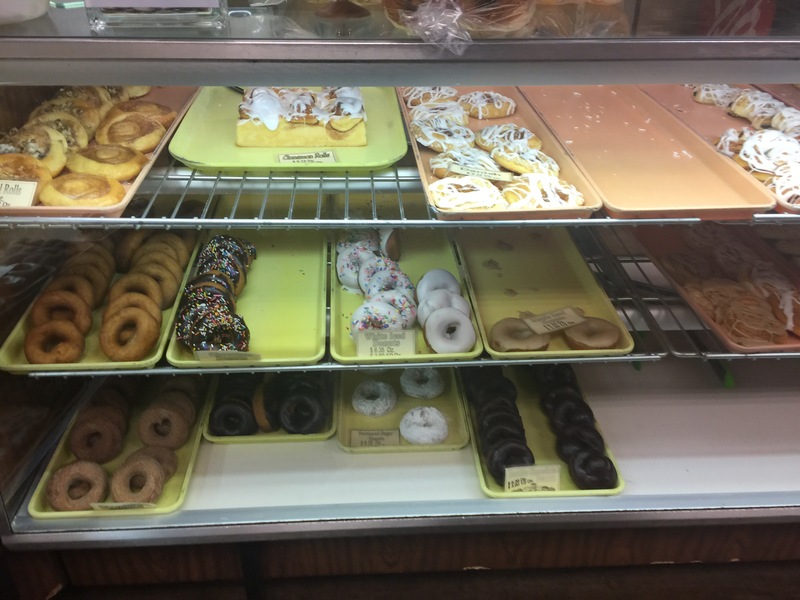 The donut itself was soft and unlike most that have a graham cracker topping the cracker was actually still crisp. 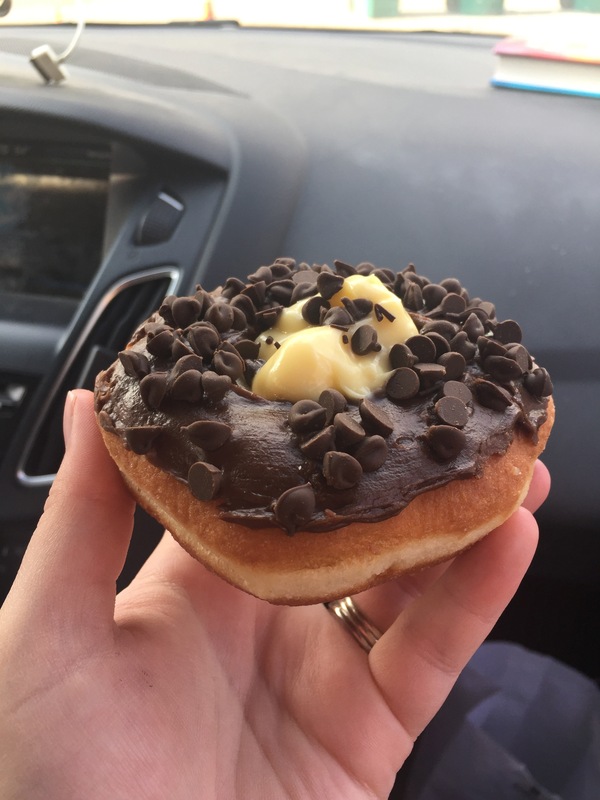 I find most places that do a donut like this end up with soggy graham crackers so it was nice to find one that wasn’t that way! Finished up the visit with a chubby bunny which consisted of chocolate icing, chocolate chips, and banana pudding in the middle. It was such a delicious combo and the changes in texture between the donut, chips, and pudding was so smooth. 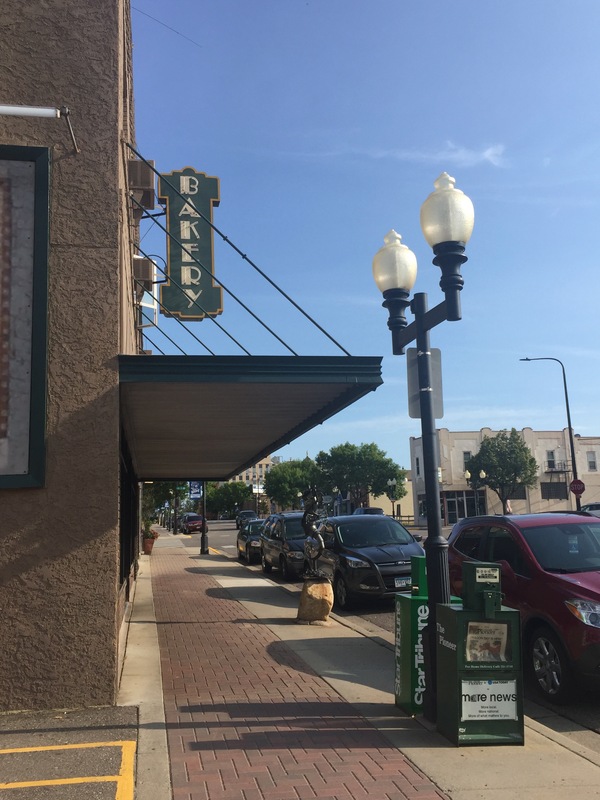 We drove around a little before heading back to the cabin for the rest of the weekend and the food scene has definitely expanded in the area. 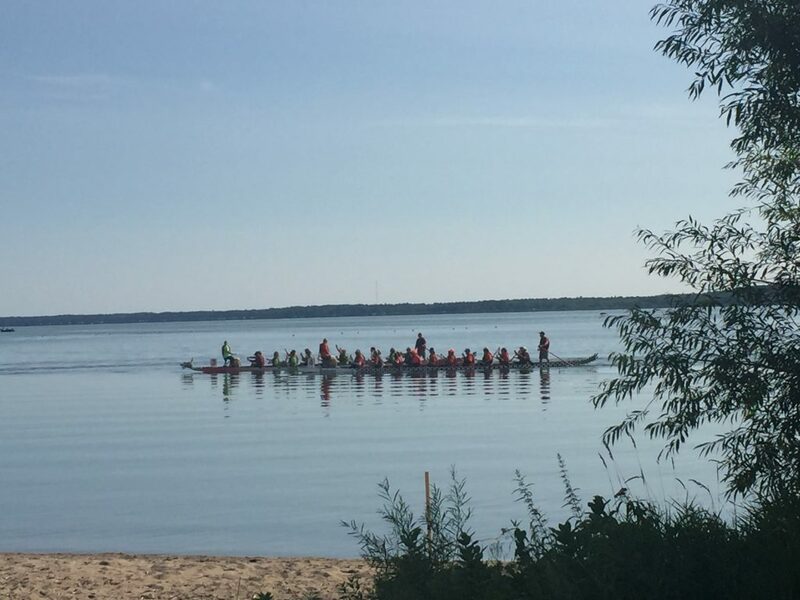 Stay tuned for more in the Bemidji, MN area!